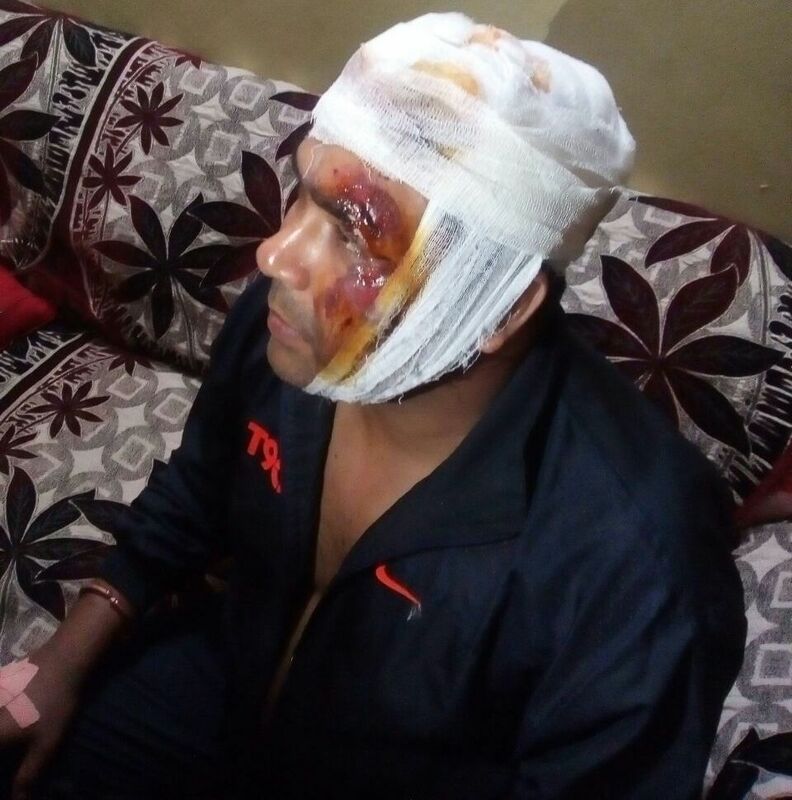 RPF inspector Sushil Pathak was attacked by three masked miscreants with an iron rod and he was injured seriously on the head. This was happend in late Saturday night while he was returning from duty. Pathak was rescued and admitted to the Titilagarh sub-division hospital where he had to undergo at least 35 stitches on his head. After preliminary treatment, doctors referred him to the Divisional Railway hospital in Sambalpur for further treatment as his condition worsened. Preliminary investigation revealed that three masked miscreants armed with iron rods carried out the attack. The police have not yet identified the three. The Government Railway Police (GRP) registered a case as per a complaint by Pathak and have launched a manhunt to nab the criminals. Pathak is engaged at the RPF office in Titilagarh railway station. The incident occurred while he was returning to his Railway Colony residence late Saturday night. Meanwhile, the three masked miscreants, believed to be waiting for him, attacked him with iron rods. A biker who happened to pass by came to Pathak’s help after hearing his screams. Later, with the help of neighbours and RPF officials, Pathak was taken to the sub-divisional hospital.